"This is a recipe inspired by a one-minute conversation with my mate Johnny Boy Hamilton. He had basically eaten far too much meat in Paris, went for the veggie option one night and was blown away by it. His description used a marrow instead of a squash and some kind of green rice, but anyway, the great thing is I've given this a bash my way and think it's an absolutely fantastic recipe. So, nice one John. 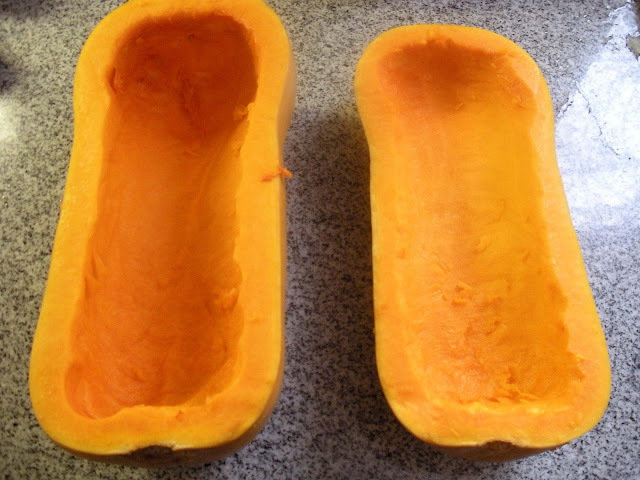 There is no need to precook the rice as it will take on moisture from being cooked inside the squash." Finely chop this flesh with the squash seeds and add to a frying pan with 4 lugs of olive oil, the onion, garlic, coriander seeds, chilli, rosemary and sun-dried tomatoes. Fry for 4 minutes until softened. Add the porcini and half their soaking water. Cook for a further 2 minutes before seasoning. 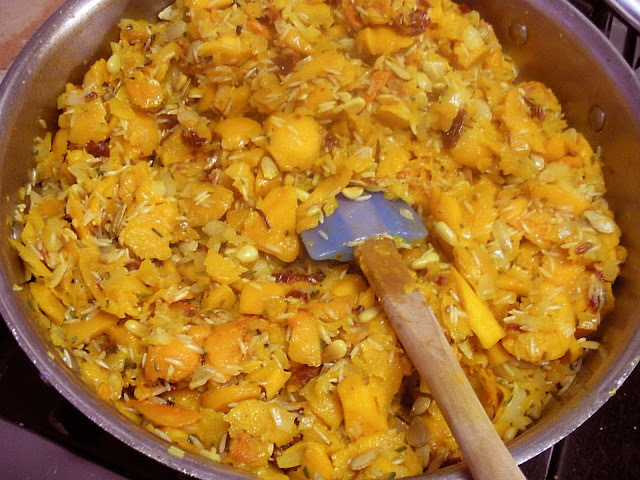 Stir in your rice and pine nuts, pack the mixture tightly into the 2 halves of the squash and then press them together. 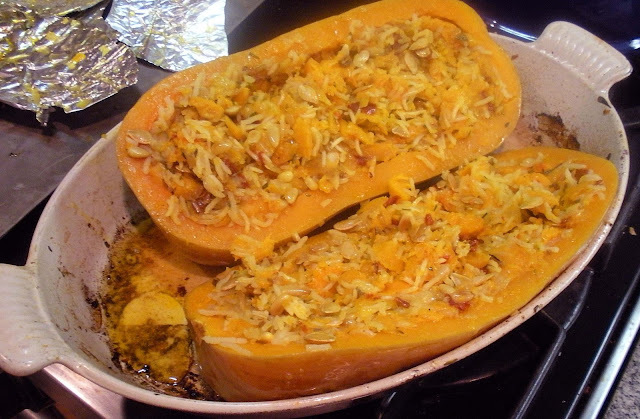 Rub the skin of the squash with a little olive oil, wrap in tin-foil, and bake in the preheated oven for about 1¼ hours. I ate the cold leftovers standing up at the counter. They were good!